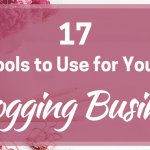 I don’t know about you, but I have a bookmark folder on my bookmarks bar called ‘Tools’ and in it, I put quick links to the tools I use the most often for my blogging and my freelance content writing work. These include the tools I open first in the morning and the ones I use later when I switch from other people’s writing to my own. 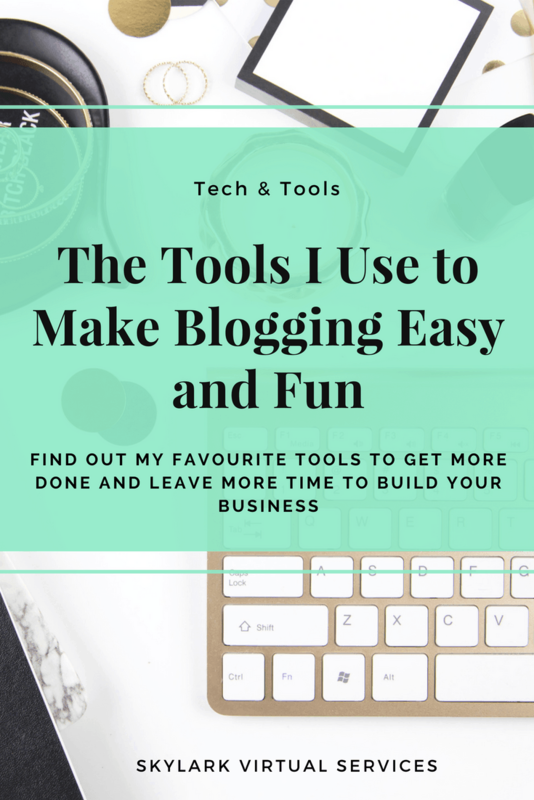 I know people are often asking about what tools people use and why so I thought I would write up my favourites that make blogging easy and what I love about them. I love gadgets, apps and computerised stuff but I still have a printed to-do list on a clipboard on my desk. It sits on my printer just to the left of my laptop screen so I can see what is on it with a single glance. That said, most of my organisation is done online. 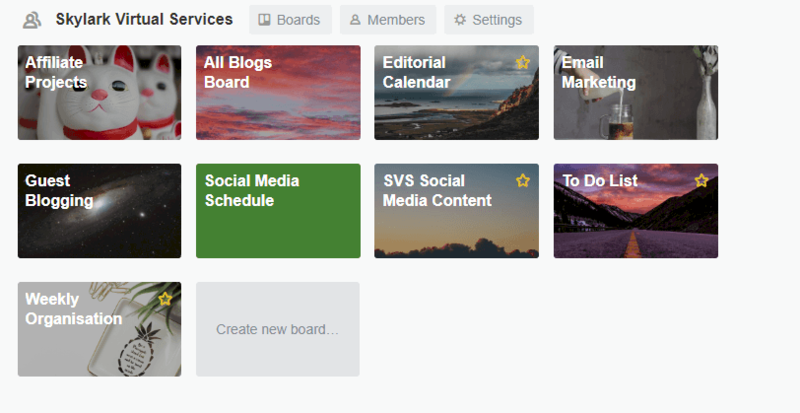 For organising my work and blogging life, I use two main tools – Asana and Trello. Asana is where I schedule all my paid work so that I can easily see each day what work I need to do for clients before I do anything else. I use a free version of Asana and can have a project for each client (colour coded no less) so the weekly plan looks colourful and is easy to tick off those tasks when they are done. To keep track of billing and other information, I use a board on Trello. Here I record work to be billed and information such as websites to reference for ongoing projects quotes I’ve given and rates agreed with clients. I also have a Trello board for each of my blogs and here I organise my editorial calendar and keep a list for topics to write or be inspired by in the future. 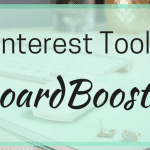 I also have two boards for social media – one for sharing on groups on Facebook and repeat hashtags and the other one for general stuff. 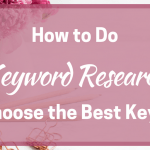 There are three tools I use to organise information such as articles to use as research for blogs, emails I want to refer back to or eBooks to read. Pocket is where I store any articles I read that could be used in blogs or have stats or inspiration I might want to refer back to later. I have an IFTTT recipe that sends a copy of the saved item to the corresponding Trello board for later reference. I use Evernote to store eBooks to read and keep a copy of emails that I might want to refer back to later, such as email series on how to do something. I also Google Drive in relation to work, usually to deposit documents for clients to collect or to receive files they have sent to me. Perhaps the most time-saving tool in my Tools folder is SmarterQueue. I have been using it for a few months now and continue to be impressed. 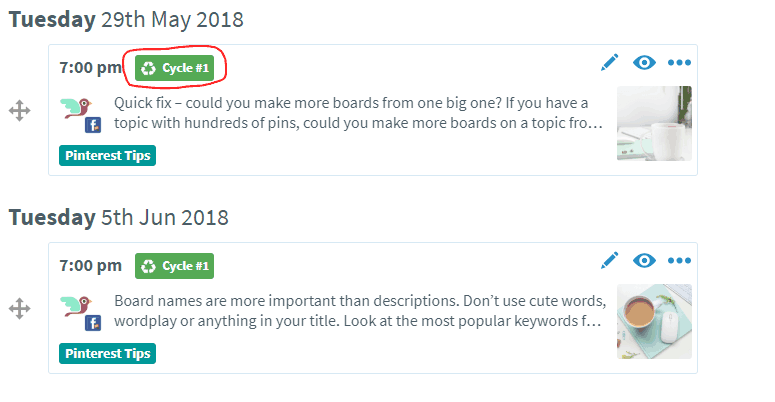 I was always a Buffer fan and still have that account for secondary purposes but the evergreen content aspect of SmarterQueue wins out for me – I can reshare my blogs posts and other content without needing to remember to do anything once I set it up. Buffer is perfect because it works with Quuu, a curated content service that automatically selects articles within categories I have set up and sends them to Buffer. They are then shared to the relevant social media account and mean there are always plenty of interesting topics appearing there. Plus, I get a daily email from Quuu detailing what they are sending so if anything doesn’t suit my tastes, I can delete it from Buffer before it goes anywhere. 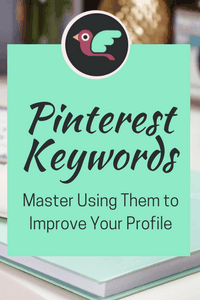 Tailwind is my Pinterest scheduling tool and another must-have on my list. I regularly spend a short period of time finding content on Pinterest that is ideal for my boards and sending it straight to Tailwind. It then sends this out on my schedule to the boards I select. I’ve also recently got access to Tailwind Tribes and so far have two tribes to share content to and from – liking it so far! ConvertKit is my choice for my email subscription software. It is a little more expensive than some services but the automation and ease of use make it a worthwhile investment. I find it easier to work with than MailChimp and has more features than MailerLite although both services were very good. Email is one of my big projects for Quarter 2, building my lists and starting to use them so hopefully, I will be getting the most for my investment with CK soon. For graphics, I use Canva for most things and have the paid Work account where I can save brand colours and fonts – endlessly useful. I do have Photoshop and Lightroom for photo editing and other work but find Canva is so much easier to work with. Part of using SmarterQueue for social media sharing is to have a Bit-ly link shortener account so this is another tool in my folder. This shortens links and tracks the clicks they receive and you can never have too much analytics information. I also recently found out about LinkTree, a great service to make the most of that single link you can use on Instagram. Rather than choosing to send someone to one place on your blog or website, you send them to LinkTree and there you have a list of links for them to choose from – sales pages, landing pages, blog categories or whatever you want. I user CoSchedule’s Headline Analyser for my blog titles to see how the balance of words works and what might most appeal to readers. 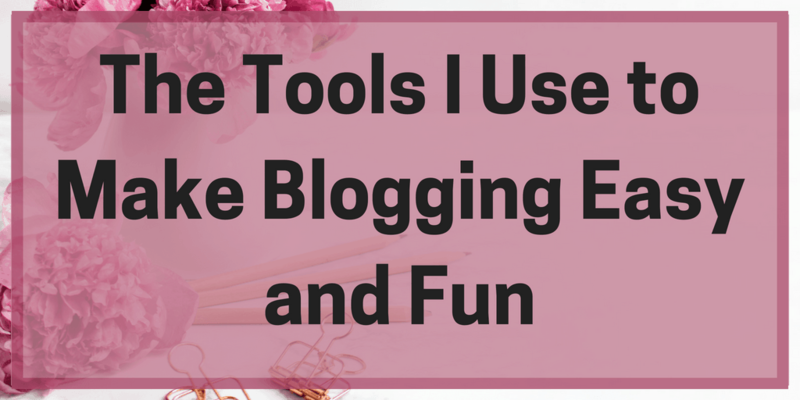 This is a snapshot of the tools that I use for my blogging and freelance content writing business. I do like to use online tools as I’m a bit of a gadget person so if you know of any others worth looking at, drop me a message in the comments!